There are fascinating possibilities for how Google’s ubiquitous mapping will play out on Google Glasses where users may be able to view vistas and virtually walk through locations as if they are there. Unless you’re planning to travel across the icy Southern Ocean or deep into the Brazilian rainforests for your next vacation, you probably won’t see Antarctica or the Amazon anytime soon. The same goes for the world’s less remote places. Many of us, depending on location and circumstances, may never see Australia, Asia or even common European tourist attractions. 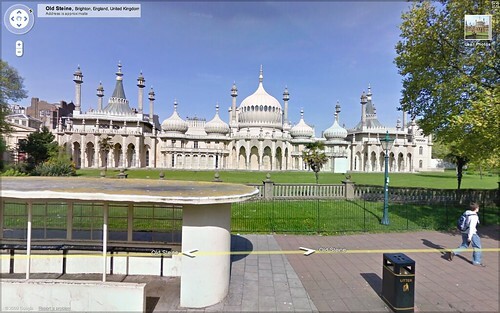 Google Street View’s collection of images extends far beyond streets at this point. Photo by Yandle. Though it’s not exactly the same as being there, we can visit these areas and other amazing sites across the globe with Google Maps. More than just checking out satellite imagery, we can actually survey the land (or the sea) with Street View as if we’re on foot (or boat, or rail, as the case may be).